10:05 AM - mee14x mentioned 427danderson in post "CMC" 2016 Calendar IS A GO! 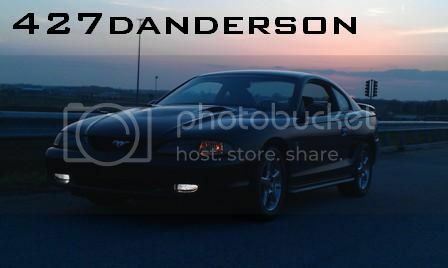 07:49 AM - 427danderson quoted VenomousDSG in post Mustang On A Roof? 11:01 AM - 427danderson quoted Oxidize in post What is the best car you have ever driven? 09:47 PM - Oxidize quoted 427danderson in post What is the best car you have ever driven? 12:30 PM - Tight Lines quoted 427danderson in post What is the best car you have ever driven? 11:48 AM - SplytSecond quoted 427danderson in post What is the best car you have ever driven? 11:20 AM - 427danderson quoted Tight Lines in post What is the best car you have ever driven?